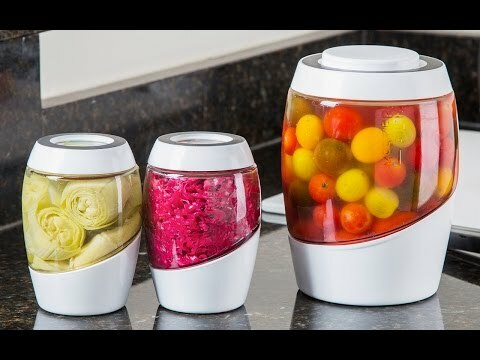 This canning set keeps food fresh and looking good. 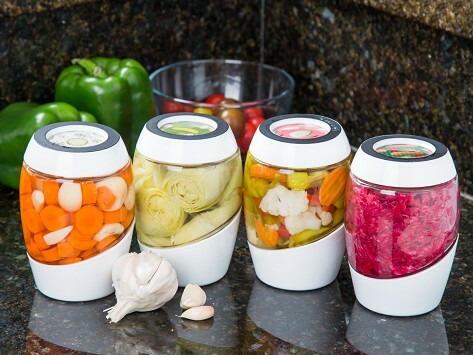 Load up the jars with fermented food, preserves, or anything else you want to store. The kit includes four mason-style jars, a canning funnel, and a canning rack. Update the rewritable label on top of the jar with each fresh batch and secure year-long access to nutrient-rich goodness. Dimensions: 8.68" x 8.68" x 8.7"
Makes learning to can fun! These are everything claimed to be - and are just beautiful! Very high quality. I love them. Beautiful set and so stylish on any counter.